I was in a mood to make a window type card... and the rest just evolved. Wow! Fantastic, Yogi! The curtained window festooned with holly and colored just right -- love! The brick wall, the fence, the holly stamped on the base -- love! And those carolers -- they take the cake. What a wonderful card! 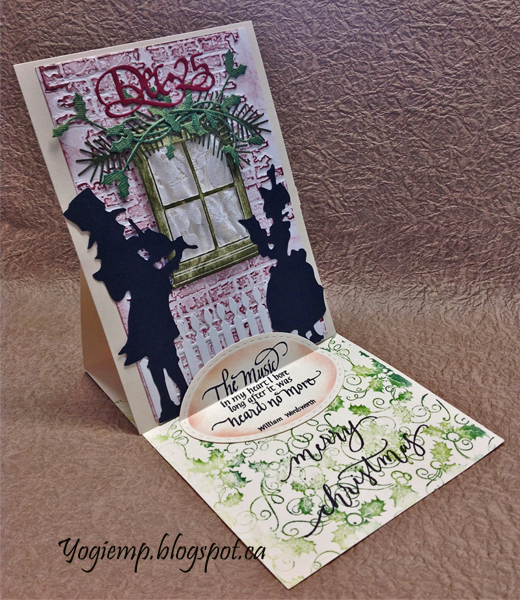 Stunning card Yogi! 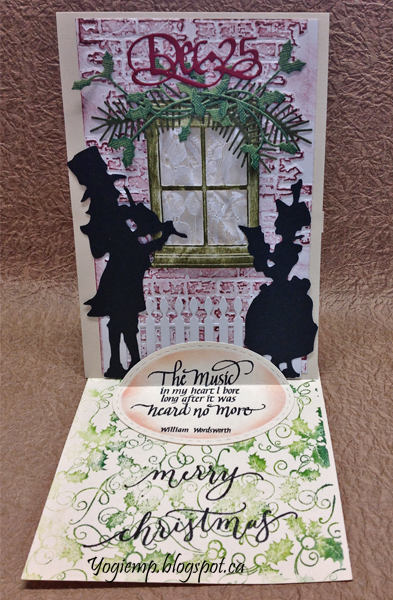 Fabulous Christmas scene...wonderful dies and the sentient finishes it perfectly! Thanks for joining our weekly challenge at QKR Stampede! Love the silhouette carol singer and musician. Super card. Thank you for joining us at QKR Stampede this week.